Community involvement should be at the heart of any small business. At Hops & Grain we are committed to being a good neighbor, not only to our planet but also to our neighborhood community. At both of our breweries we connect with other local businesses and non-profits to bring attention to what makes central Texas great, the creative men and women that live and work here! Each year our staff volunteers their time to work with our non-profit partners. In addition we donate our space and our product to help bring awareness to the great work that these partners are doing. After all, beer tends to bring out a crowd! Sustainability, by definition, is the endurance of systems and processes. At Hops & Grain we take sustainability very seriously. We focus our sustainability efforts in the areas of environmental stewardship, community involvement and industry leadership. We continually implement sustainable systems in our brewery. We're making our community greener through giving 1% of our annual revenue to local environmental non-profits and we support our local community growers and producers. We also make Brew Biscuit dog treats from our spent brewing grains and we package our beer in the most recyclable container on the planet, aluminum! 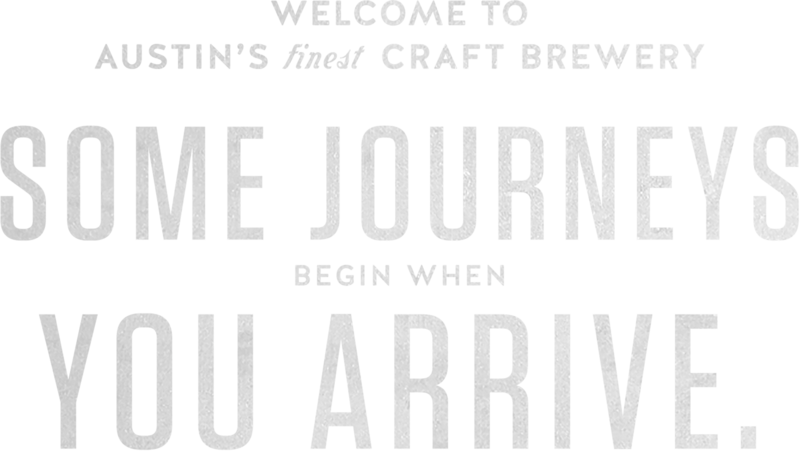 If you live in Central Texas, or are just in for a visit, both of our tap rooms are open 7 days a week from 10am-10pm. Austin & San Marcos now open! Saturday, 4/20: No tours, open 10am-10pm hosting the Austin Flea, live music and Lucky Lab Rescue! Industry Restaurant serving full menu daily (service stops 1 hour before closing). Pick up a menu from your table or a bartender, walk next door to Industry to place order, then they'll deliver it to you in our tap room to enjoy! Dogs are welcome on our outdoor patio but are NOT allowed inside the tap room.